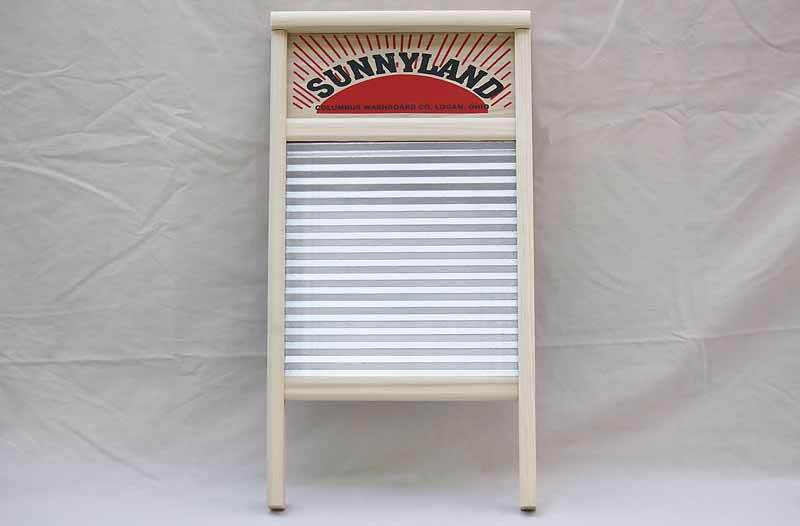 A Sunnyland Washboard brings light and warmth to your laundry room. Washing boards are functional tools and decorative pieces! Make this one the center of your country laundry room. Bring back memories of old fashioned washboard instruments and country songs. You'll love this one of a kind work of art! Washing surface dimensions: 10 3/4 x 11 5/16"